I tossed my messenger bag full of 9th and 10th grade English test on my bed and bolted into the office of our newly opened venue to turn on the music playlist for the guest. 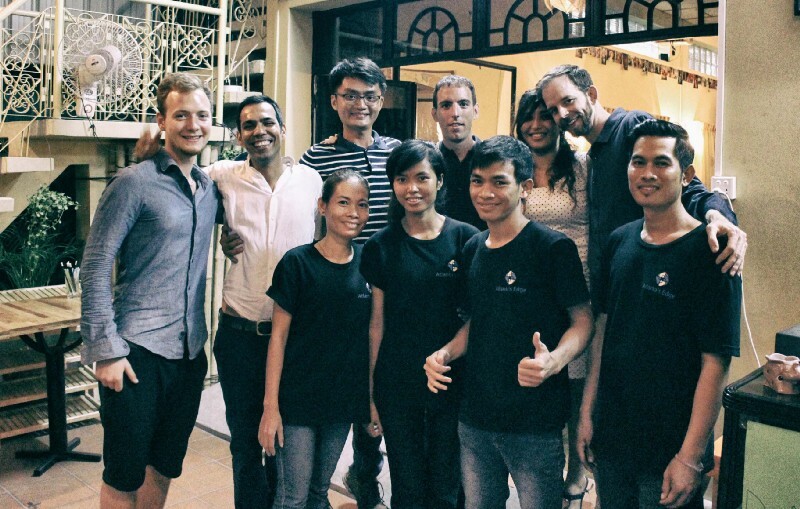 It was January 31st, 2015, I was 28 years old and had spent exactly three years in Cambodia working with small NGOs and teaching English on the side to have some extra money to invest in my own ideas. This is the story of how I, along with my now wife, were able to take an idea that we believed in and turn it into a reality. 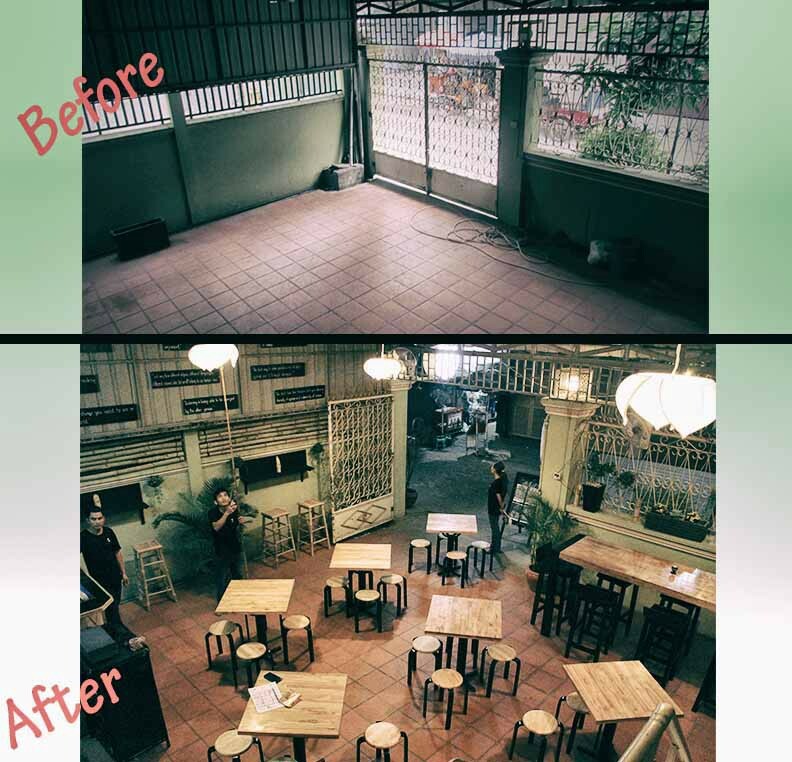 I remember the exact spot we were in when my wife and I committed to the idea of investing in our own place to host weekly cultural events in downtown Phnom Penh, Cambodia. We were in a tuk-tuk (the best form of transportation for tropical areas if you ask me) heading east on Mao Tse Toung Boulevard when my wife said, “why are we waiting, let’s do it!” We were on our way to the Toul Tom Pong area of Phnom Pen (a new hot spot for expats) to check out a house for rent that could possibly serve as our new permanent location for our events. Honestly, looking back on that moment now, makes me realize how easy it is to let a good idea go if no one else is there to back you up. Thankfully, my wife was never one to shy away from trying new things (maybe it’s the Carthaginian in her), but most importantly, she believed in me and the idea. 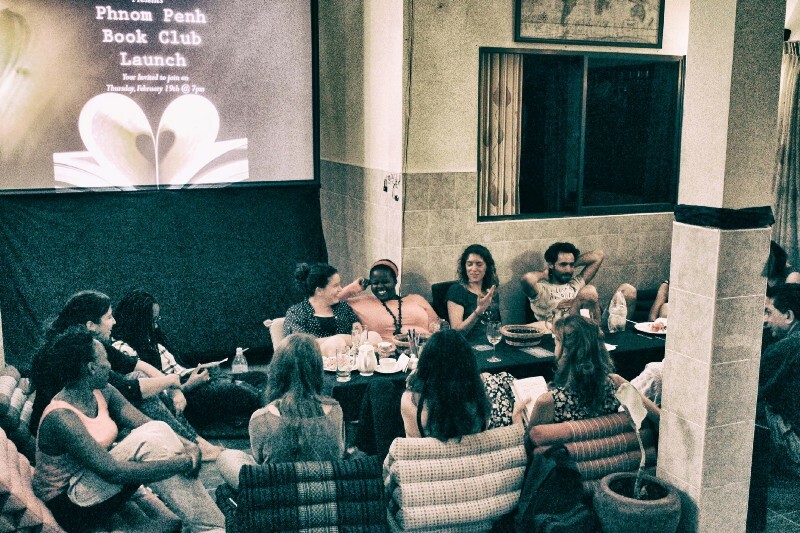 A year and a half prior to our launch, I started a multi-cultural discussion group, called Twelve Tables (the name was based on a set of Roman laws) which met in various venues around the city. 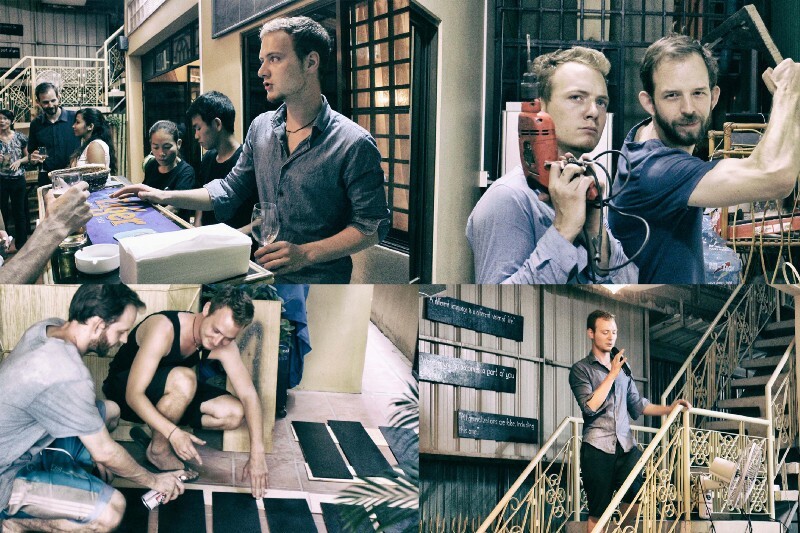 Phnom Penh had a vibrant expat community while I was there, with a ton of weekly events to choose from. If someone had an idea they wanted to try out, the community was pretty good at supporting it, at least for a season. The year and a half prior to launching allowed me to understand how the expat community responded to different events, along with learning about the various channels for advertising. By the time we signed the contract, I had already been using a number of different websites to advertise the discussion topics and locations. About a month prior to signing the contract, the idea to have our own place had really started taking shape, and I had already begun working on a new name and logo, although I didn’t know if I would ever get the chance to use it. Since the name Twelve Tables was connected more with our discussions, I knew I wanted the new name to have a powerful, yet relatable feel. I came up with the name, Atlanta’s Edge, because I felt that no matter how far a person is from their country or home, it is in a way an extension, or edge, of their culture. 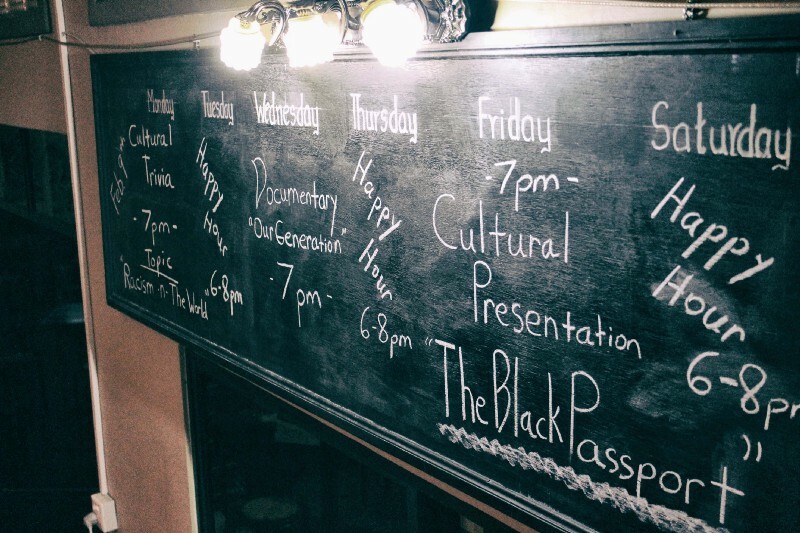 And since the foundation of Twelve Tables was to discuss serious issues with people from all over the world, we didn’t waver from this, but simply amped it up by adding cultural presentations, trivia night, live music, and cultural documentaries. We signed the contract on the three-bedroom house with a huge living room and gated patio and in November, 2014. At the time, both of us were teaching English part-time at an training institute that was within cycling distance from the new house. Although this income (along with some savings) was helpful in purchasing some of the upfront cost, we knew the biggest part of our running cost would be the $800 rent. Prior to moving in, we agreed with the owners to have one week rent free, to allow us time to move all our things, but it was primarily used to find roommates. The good news is, we had already put out an ad a week prior to that, giving us two weeks’ time to fill the two bedrooms upstairs. Because Phnom Penh has foreigners coming and going monthly, it is quite easy to get a room filled. And because the house had two levels, we rented out the upstairs rooms for $250 each, leaving us with a $300/month rent fee for our one room, the guest area in the living room, and the patio for hosting events. After making sure our biggest expense, rent, was taken care of, we were able to focus on the renovation and legal process. 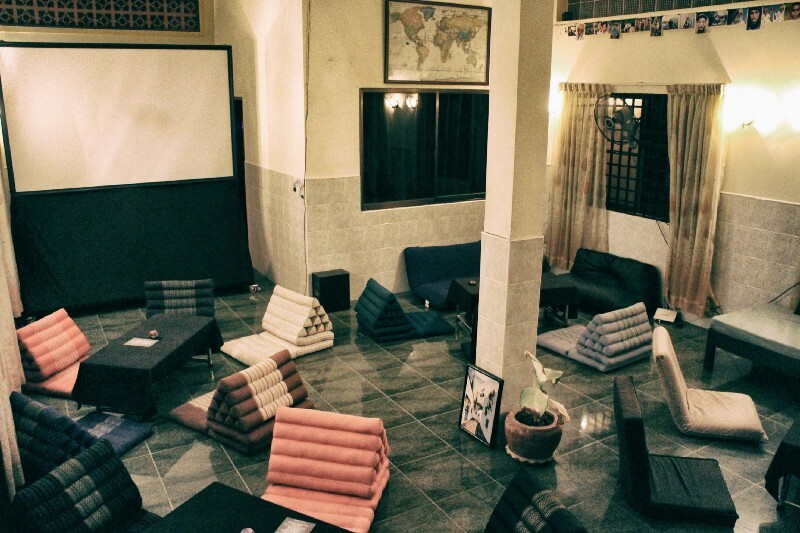 We started with the dining essentials, tables and chairs, and Thai triangle cushions (Lai Thai style). I fell in love with Lai Thai cushions back in the summer of 2010 while living in Chiang Mai, Thailand. These foldable, colorful, floor cushions were perfect for creating a chill and informal atmosphere to any room, especially if one was going to discuss world issues, as we did at Twelve Tables. Thankfully, I was able to add the cushions from the discussion group to the final purchase for our new place which cut down on cost for the inside seating area. For the patio seating, I got lucky. Another foreign couple from France who had opened their own Crepe restaurant a few years before, were moving back home and selling their entire set of custom made wooden tables, which I knew would be perfect for our patio. All in all, I spent between $1,000-$1,500 for all the tables, chairs, and cushions. For the hostess stand and bar, we went to a local rattan shop and had them custom made for around $250. Finally, a close Cambodian friend of mine helped me take care of all the legal documents necessary to opening our own place, which cost around $500. The next big expense was the kitchen equipment and the dishes. 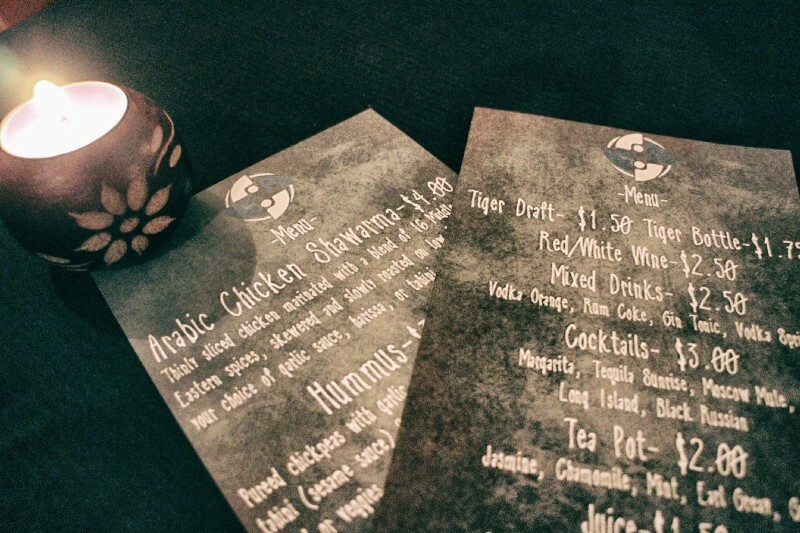 Although initially we were only going to have drinks and events, we realized that in order to create a balanced budget, we would need to provide at least a basic menu. And because my wife is an actual cook (now food photographer), she was able to create an attractive menu with custom Mediterranean/Middle Eastern recipes in a week’s time by the close of December. 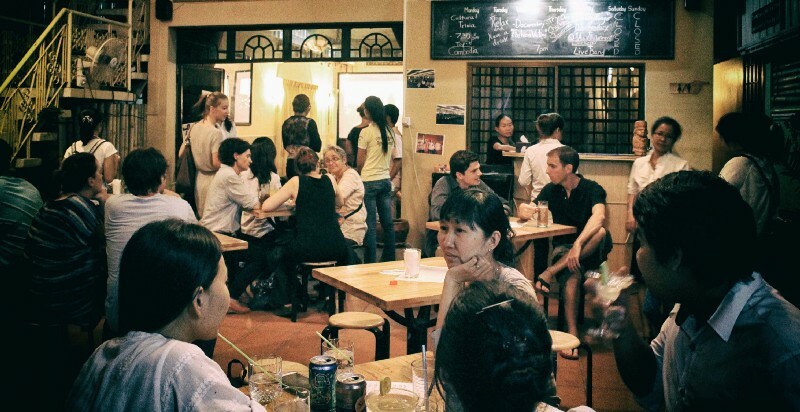 We both were quite familiar with Phnom Penh’s food scene and decided that if we had a few delicious, unique dishes, that it would work, and it did. As for the equipment, the biggest hit to the budget was a $500 industrial, Sharma machine, which we bought from a wholesale Chinese distributor who gave us a discount after agreeing to purchase a blender and deep fryer, totaling $700. I had already checked the model numbers the first time we visited the shop and realized we would have paid about $2,000 for these three items in the U.S. As for the plates, while shopping for the rattan shelves, we found a stack of colorful rattan baskets. We thought if we used banana leaves inside the basket, that it would be perfect for the feel of the place, and it was, not to mention a great money saver at $100 for 50 baskets. Lastly, the glasses, which included a full set of bar glasses, along with tea and coffee cups, came to around $200. If my memory serves me well, the last major purchase was the sound and video equipment. Thanks to Youtube and a detailed DIY video, I was able to hire a welder to build me a frame for a portable projector screen and have a picture shop create the white backdrop with a wooden frame. My friend, Matt, now in Texas, did me a huge favor by bringing me new projector which I purchased during Cyber Monday, thanks Matt. Finally, there was the sound board, speakers, mics, and other audio equipment to make sure that the place had high quality sound for the presentations, music, and documentaries. I’ve always enjoyed critiquing events, and quality sound is certainly one of those things that I feel should be at the top of the list, as far as the technical preparations. All in all, I believe we spent around $1,000 on the sound and video equipment. 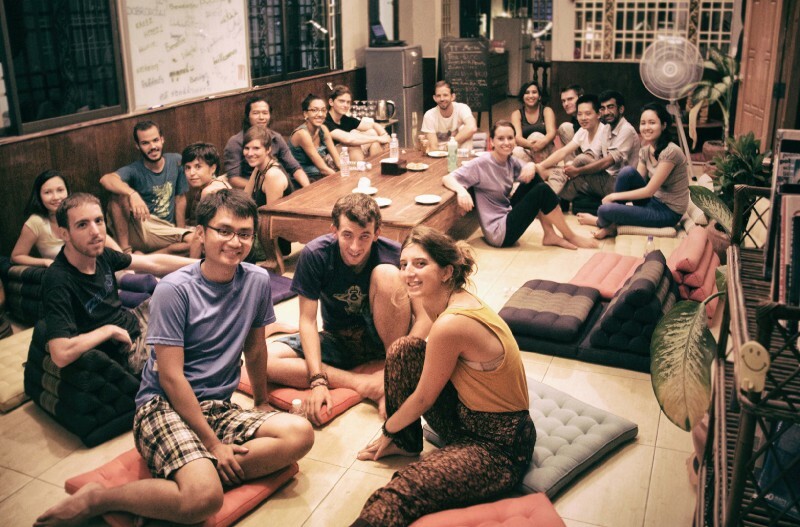 For the aesthetic touches to the place and for running various errands, I was able to put out an ad out for volunteers on different websites like Idealist, Workaway, WWOOF and Couchsurfing. The great part of launching an idea in a touristic city is the amount of travelers that are always looking to get involved in activities for free or for a place to crash. Word of advice here, always have a clear set of responsibilities and expectations for your volunteers, as your vision needs to always be grounded in practical, daily tasks. I had at least 10–15 people contact me via Workaway and Couchsurfing, but they were only looking for a short-term stay with little or no commitment. With that said, I finally selected a young, German guy, who was instrumental in helping us launch on our target date and even stayed around to be the MC at our launch party, thanks Simon. Along with Simon, there was a talented artist from India, Yash, who helped us by painting a number of cultural pictures all around the building, as well as hosting Couchsurfing meetings at our place once we were up and running (of course free drinks for the host). When December came, we knew we had to aim for the New Year to launch by, although a month and a half to have everything up and running would seem almost impossible, especially since we had not yet hired or trained local staff. Finding local Cambodians who were friendly and could speak English was not a difficult task, but still we went through the hiring process. At the end, we hired four employees, two for the front of the house (hostess/cashier and waiter/bartender) and two for the kitchen. During high school and college I worked as a server and QA in one of the most popular restaurants in my hometown, so this allowed me to properly train the staff and set up a smooth workflow. And of course, my wife was running the kitchen and I was in charge of coordinating the events and helping serve the guest. 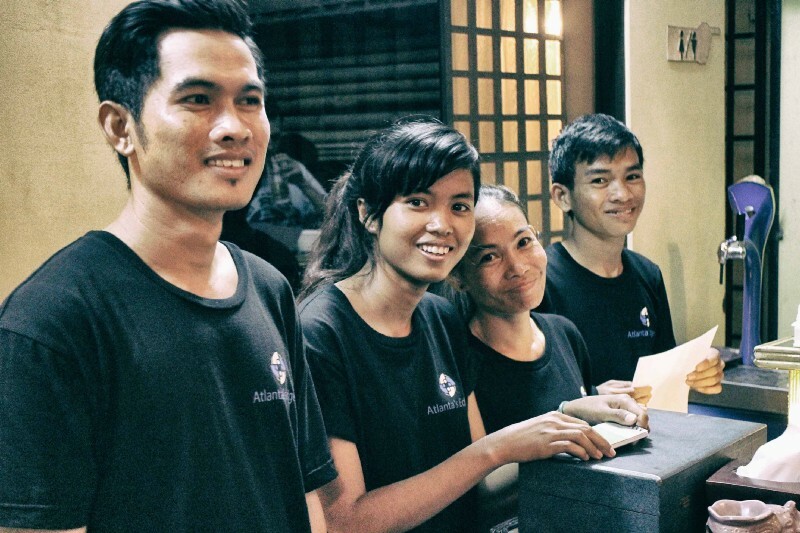 And since one of my first independent studies in Cambodia was about issues surrounding the garment industry and workers’ rights, I made sure to pay them double the salary for their part-time positions. After hustling and teaching part-time, January rolled around and we had to push back our first target date of the 1st. We decided to quit our part-time jobs (having some savings to fall back on) and go head first into making sure that we were ready to go full on the 31st. At this point, there was no turning back, the biggest part of the investment had been made, and any delay would be a waste of time and money. I remember January as a blur now, as I felt like every day was filled with a long list of things to do, from making sure our kitchen was properly stocked, to getting the uniforms, menus, and pamphlets printed with the new logo. After having a few trial runs with some close friends and having promoted the event on our Facebook page and local websites (some of which posted without our knowledge), we were ready to launch on January 31st. My wife and I were so pleased to see such a diverse group of supporters come to the opening. We even had expat neighbors who had their own businesses come and show support. We had old friends, like Louis from Taiwan, Maggie, Emma, and Kirina from Kenya, Marc from Spain, and Bob from Belgium, who continuously showed their support through the entire process, thanks guys! I know I’m leaving out a lot, as I went back to check all my emails from November to January and realized the amount of people I contacted for both big and small things. But perhaps this is the biggest lesson I can take away from this experience. The fact is, it is impossible to know all the things needed to do when you start something new. You have to simply stay focused, believe in yourself and your team, and take one day at a time. The best part, you will find out along the way all the small details that must be taken care of, and that’s part of the journey, and the fun, so get started!